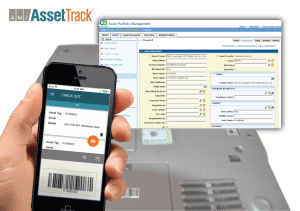 AssetTrack’s enterprise barcode and RFID asset lifecycle tracking solution is now available for CA customers. Maintaining complete, current and accurate hardware asset data within CA Asset Portfolio Management or Service Desk Manager has never been easier. AssetTrack’s powerful task configuration allows asset managers to define virtually any asset tracking task, easily accessible from any mobile device. This powerful IT asset tracking software allows for barcode scanning easily and efficiently from any mobile device. AMI’s complete solution for CA IT Asset Manager and CA Service Desk provides the barcode/RFID data capture hardware and software, process design, asset tags, user training and reporting tools required to maintain these systems with accurate hardware data. Contact Us for more information on how AssetTrack® can improve your asset management program. AssetTrack® is a ca smart certified product. It has been successfully implemented to solve complex asset management problems for large organizations like Acxiom, the Army Materiel Command and BB&T. In addition, CA uses AssetTrack® to manage their own assets. See more about the powerful asset lifecycle management solutions introduced by integrating AssetTrack® with your Asset Portfolio Management or Service Desk platform.